Dr. Broussard's personal dog Gracie is now over 14 years old. 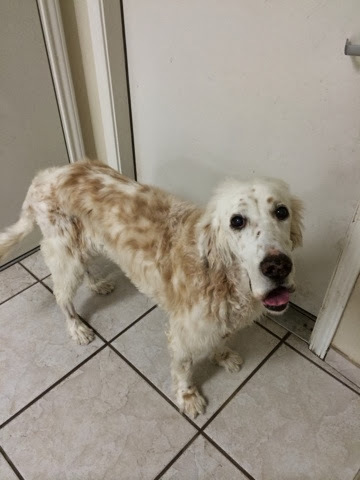 She is an English Setter and has bad hips. We recently put her through a stem cell replacement in our hospital and after four weeks, she is getting around 50% better and tolerating this cold weather like a spring chicken. Send your good thoughts Gracie's way and keep your fingers crossed that stem cell replacement turns out to be all we hope that it will be for Gracie and all our patients.